Novotel Bangkok on Siam Square, managed by Accor Group, has announced the appointment of Michael Hofstetter as its new Resident Manager. 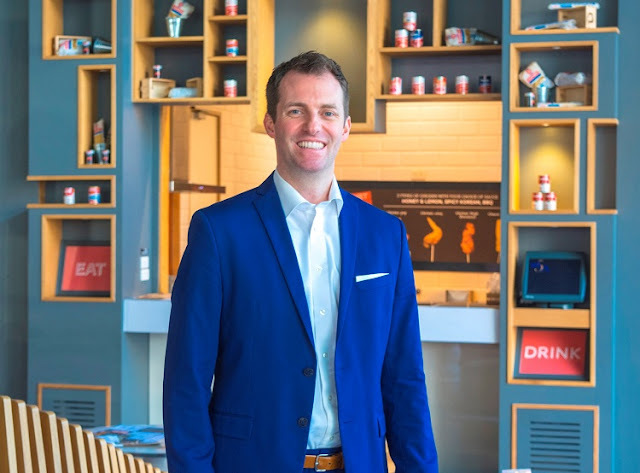 A Swiss national and highly experienced hospitality professional, Michael moves to Bangkok from Chiang Mai, where held the position as the Director of Food and Beverage at Le Meridien Chiang Mai. Michael studied International Hospitality Management with a concentration in leisure and resort development at the prestigious Ecole Hôtelière de Lausanne. He has garnered an impressive 15 years in the hospitality industry with roles involving food and beverage operations, business strategy and development as well as management. Michael has also worked for numerous distinguished brands spanning across Europe and Asia such as Le Meridien, Sheraton, Radisson Blu and Hotel Astoria. Michael brings with him a breadth of food and beverage expertise, guest service and hospitality knowledge. He plans to deliver the ultimate guest experience and service, making the hotel a home away from home for guests. An adventurer and sports enthusiast, Michael loves travelling and discovering the local culture and food. Novotel Bangkok on Siam Square, which opened in 1989, is the first Accor Hotel in Thailand. With recently renovated guest rooms, meeting rooms as well as lobby, the hotel is proud to continue leading the way in the hotel industry in Bangkok. The hotel will celebrate its 30 year Anniversary on 15 May 2019.